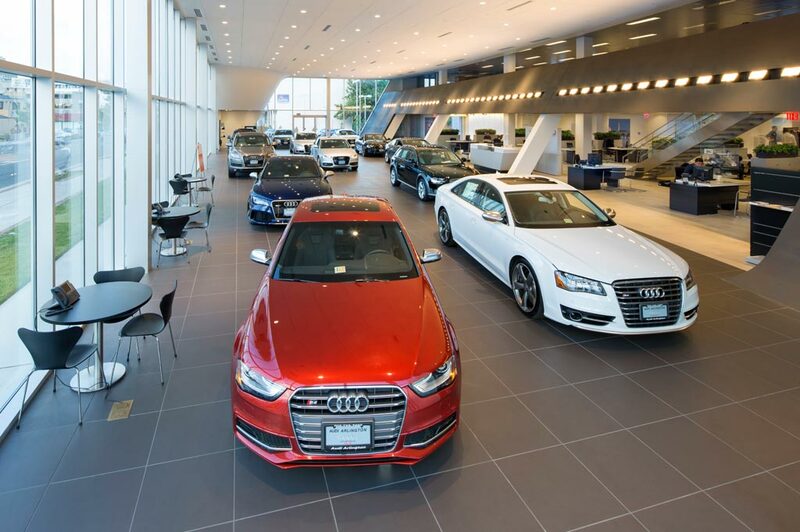 Audi San Diego in San Diego, CA treats the needs of each individual customer with paramount concern. We know that you have high expectations, and as a car dealer we enjoy the challenge of meeting and exceeding those standards each and every time. Allow us to demonstrate our commitment to excellence! Our experienced sales staff is eager to share its knowledge and enthusiasm with you. We encourage you to browse our online inventory, schedule a test drive and investigate financing options. You can also request more information about a vehicle using our online form or by calling 855-971-8832. If you have been thinking about upgrading your driving experience, now is the time to stop by our Audi dealership in San Diego and to explore the stunning options available. Regardless of whether you are in the market for a sporty coupe, a larger SUV or something in between, you can find the perfect luxury car for your needs in our current inventory. Audi has a stellar reputation for overall superior performance, innovation, and luxury, and our sales associates are eager to tell you about all that our lineup offers when you visit our dealership soon for personalized assistance. We want you to enjoy your buying experience as much as you enjoy driving the right new Audi for your specific needs for many years to come. One step that we take to ensure that you have a wonderful experience at our dealership is to provide supportive assistance with the setup of your new Audi lease or loan. While you could waste your limited free time looking for a loan or lease yourself, this is not necessary. Our financing pros are ready to do the work for you by exploring options that you may qualify for. We strive to make Audi ownership as affordable and convenient as possible through our services. Many of our customers who prefer to trade in their vehicle every few years enjoy the flexibility of a lease. Others who want to enjoy their new Audi for many long years may benefit by taking out an auto loan. We can answer your questions about the available options to support your decision-making process. Taking home a new Audi is a wonderful option for many of our customers, but others are focused on getting an amazing deal on a used car. Our San Diego dealership's inventory includes a stunning selection of late-model, pre-owned cars, SUVs and more. Our inventory regularly updates, which means that we either have the vehicle that you are looking for now or may have it in our stock soon. Both late-model Audi vehicles and options from other leading automakers are available for you to choose from. Our well-engineered Audi models hold up well to daily use, but they will require regular maintenance work for longevity and ongoing reliability. Through our reputable service department, all maintenance tasks required can conveniently be completed in one location. Rest assured that your Audi is in great hands with our skilled, certified techs on the job. You can also stop by our San Diego dealership to select parts for your do-it-yourself maintenance and repair projects. Whether you are dreaming of buying your first Audi or you have other automotive needs, our San Diego dealership's team is eager to serve you. We invite you to drop by during our extended hours of operation throughout the week or contact us today to make an advance appointment.